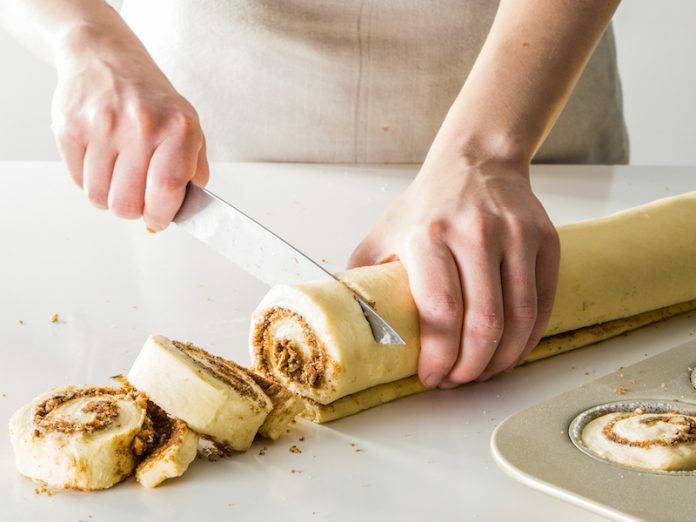 You’re just a few folds and one roll away from the perfectly shaped morning bun. Our visual tutorial teaches you how to make the perfect morning buns. 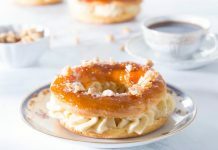 This technique works with our Cinnamon Sugar Morning Buns, or any of our other morning bun recipes in our 2019 January/February issue! 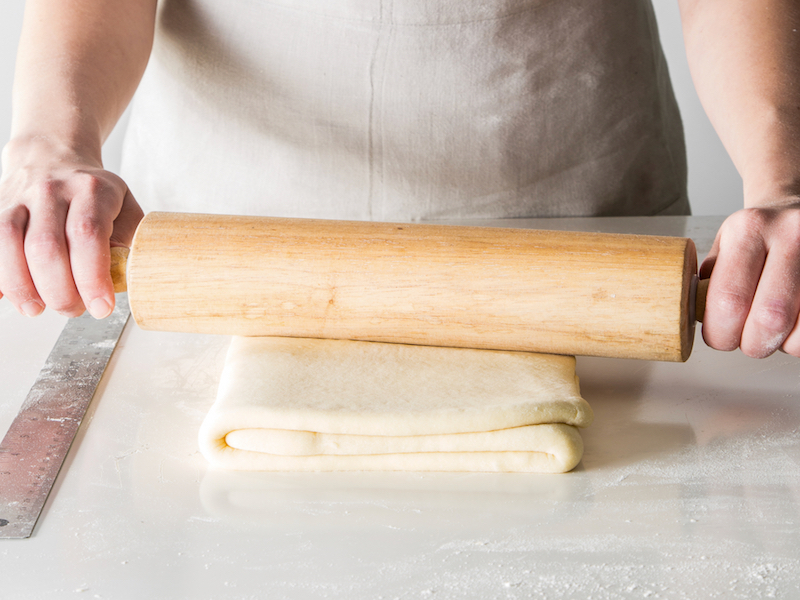 First off: Make sure your butter block and dough are at the perfect temperatures. 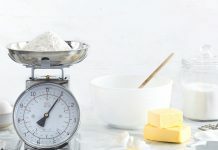 You want the dough and butter to have the same consistency. They should be super cold and give resistance if pressed on, but not feel like a solid brick. 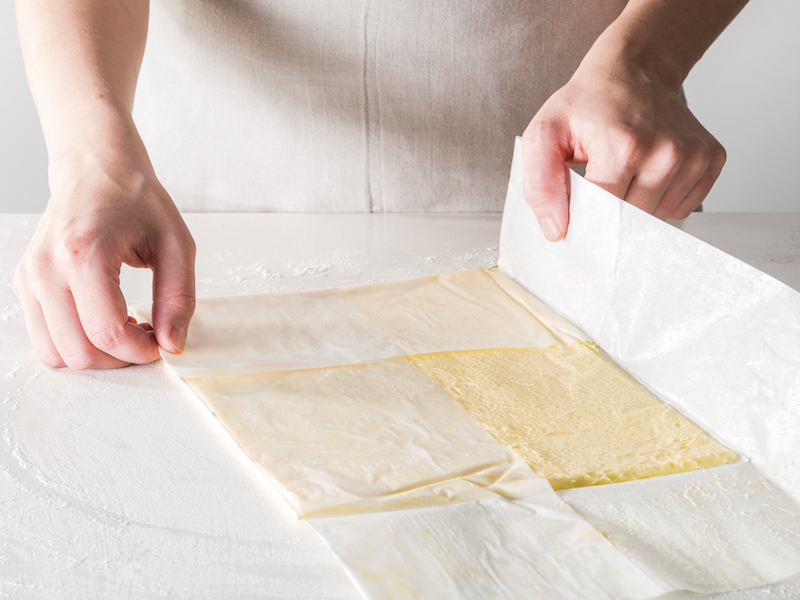 On a lightly floured surface, roll dough into a 16×12-inch rectangle. Unwrap butter block, and place in center of dough. 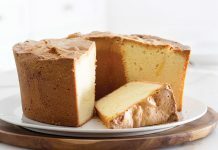 Fold dough over butter block, meeting in the middle, and press lightly to seal dough around butter block. 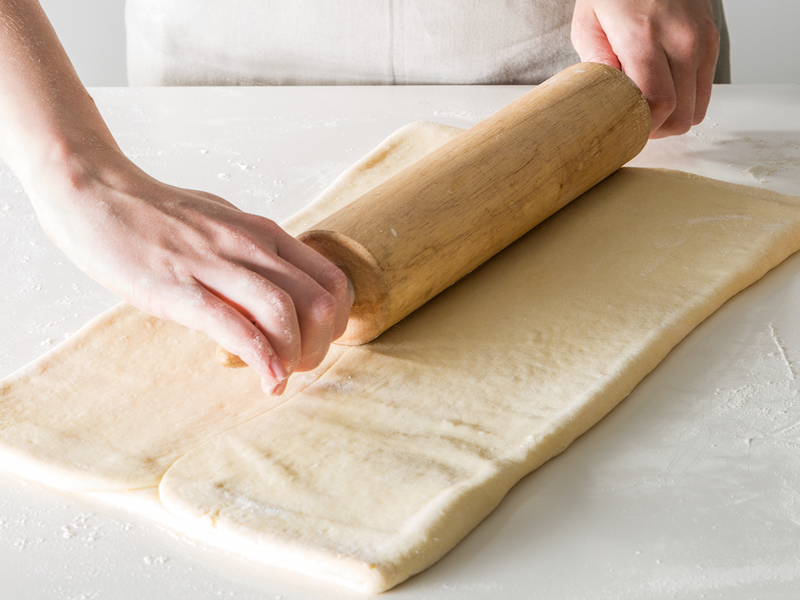 Turn dough 90 degrees so that the short end is to you, and immediately roll dough into an 18×12-inch rectangle. 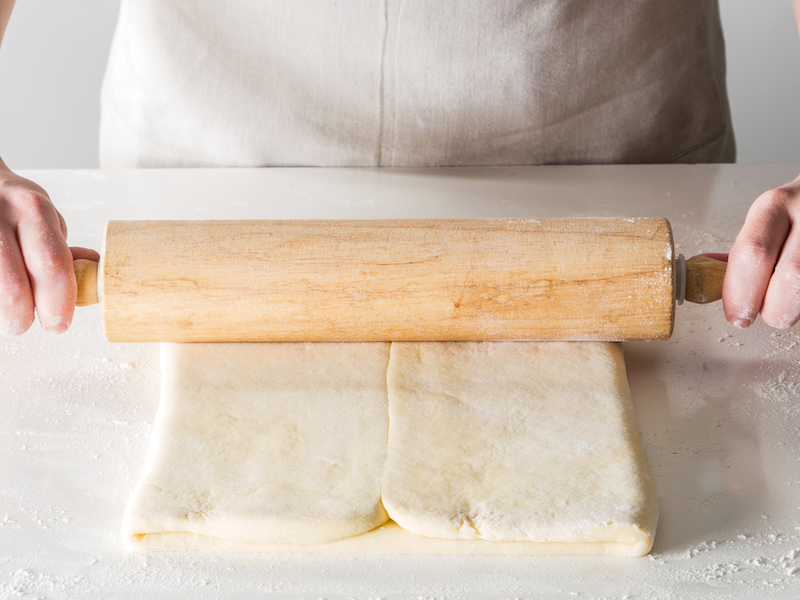 We suggest using a standard rolling pin with handles because it applies an extra amount of force that French pins don’t. Fold into thirds, like a letter. This shouldn’t be a haphazard folding. Your edges should line up perfectly. 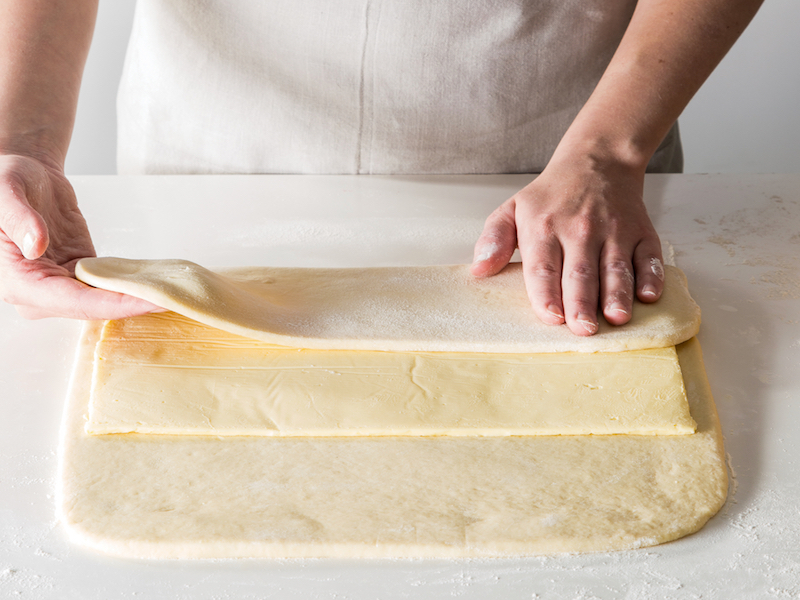 Use a ruler to help evenly portion out your dough into thirds in order to make sure your folds stack neatly on top of each other.